When you are planning a wedding, one thing to think about is that people are coming from all over. They need a little help to be sure they make the right turn! We’ve done wedding direction signs for lots of people, this most recent for my daughter Dana who was married last weekend. At a couple of critical junctions in the road, these signs helped people to take the right turn. We typically print these wedding direction signs double sided on coroplast, which is plastic cardboard. We provide wire H stakes so they can be easily jabbed into the ground. 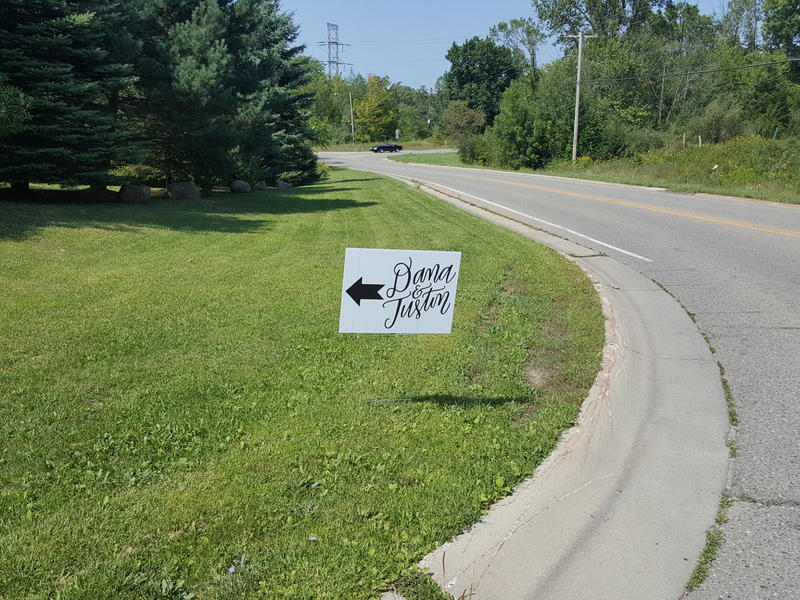 This entry was posted in Flatbed printing and tagged direction signs, event signs, temporary signs, wedding signs. Bookmark the permalink.